Padmashri Awardee Dr. Vikas Mahatme is an eye surgeon of international repute. A man with vision, he is the founder of Mahatme Eye Bank Eye Hospital Nagpur. The hospital treats nearly 65% patients FREE of cost. Dr. Mahatme himself has performed over 85,000 eye surgeries. He has been invited to demonstrate his surgical technique in various countries like Malaysia, Indonesia, Romania, Russia, Egypt ,Iraq and also various places in India. His innovative research contributions to Ophthalmology includes Woodcutter’s Nucleus Cracking Technique for Phacoemulsification. He has started “Institute of Science of Happiness” which conducts workshops based on 10 Life Skills. Dr Bawaskar has dedicated his life to caring for the poor in Rural areas of Maharashtra.He runs a nonprofit ICU in Mahad along with his Dr Wife, preventing deaths in Rural areas which would have occurred if not for his intervention. He has to his credit, the development of an anti-venom for snakebites and scorpion stings. His autobiography “Mi, Dr Himmatrao Boltoy “ has been published in Marathi. He has trained more than 30000 Doctors from Rural areas in management of SNAKEBITES. Padmabhushan Hony.Brig DR ANIL KOHLI PADMA BHUSHAN in 2005, PADMA SHREE in 1992 ,awarded Dr B.C. Roy Award in 2005. Former President Dental Council of India. Dental Surgeon to the Prime Minister of India. Hon. Minister for Health, Family Welfare & Devaswoms, Kerala . Presently he is AICC member. Shri.V.S.Sivakumar won his debut contest to the State Assembly from Thiruvananthapuram constituency in 2011 and became Minister for Health, Family Welfare and Devaswoms. He introduced the scheme of providing around 750 odd medicines free of cost to all people irrespective of income levels & has introduced “Arogya Kiranam”. And recently he has conceptualised and launched” Sukritham”, which provides free comprehensive cancer diagnosis, treatment and medicine for all BPL families in the state. Under his dynamic leadership Govt of Kerala rolled out the Free Generic Medicine scheme to all patients irrespective of income levels in all public health institutions. In order to strengthen public health in the state he envisaged “ Public Health protection Agency” in the state. He developed “Mass Screening Programme”. Also he has also introduced programmes like LEAP (Life Style Diseases Education and Awareness Programmes) for students . He is instrumental in developing “ New Born Screening programme” which was acknowledged by Govt. of India adjudging Kerala “Best Child friendly State” in the country in 2015. After Ray was diagnosed with Multiple Myeloma in mid 2009 her forthright, courageous and humorous approach to navigating her experiences with this incurable blood cancer which she chronicled in her blog, ‘The Yellow Diaries’. Despite living with an incurable disease, Ray has continued working with an added focus on increasing Cancer Awareness. Cross-cultural phenomenon, Lisa Ray is an internationally acclaimed performer, philanthropist and star with a reputation for taking on challenging issue-oriented films. Raised in Canada by an Indian father and Polish mother she is an acclaimed, award-winning actress who starred in Canada’s Oscar nominated film, Water, amongst other prestigious credits like ‘Kasoor’ in hindi cinema. Nineteen-year-old Zainab Khan and footballs go back a long way. The only girl from her village chandora to complete school. She is now at the forefront of efforts to set up a college in the village with the Uttar Pradesh chief minister Akhilesh Yadav encouraging her endeavour.”I used to stitch footballs like my friends here and serve as a helping hand for my family”, we got five rupees for stitching one football. One girl can usually stitch four footballs in a day, earning Rs 20. “It was Nobel laureate Kailash Satyarthi’s acclaimed Bachpan Bachao Andolan programme that had stepped in, recognized Zainab’s zeal for education and selected her as the head of Chandora’s bal panchayat. CONTRIBUTION TO MEDICAL FRATERNITY AND MEMBER’S WELFARE. Held post of member board of study of Gujarat University for ten years. P.G. Examiner since 1978 till today in all universities of Gujarat and almost 70 universities in India including AIIMS, SGPGI, Chandighar, CMC, Vellore, PGI Chandighar, Delhi university, Rajasthan university, Bombay university, Nagpur university, Mysore university etc. So far examiner more than 1000 P.G. students and trained more than 300 residents as P.G. Guide.I am vice chairman of Indian red cross society, Ahmedabad, Served as active member of lions club for more than two decades. I have more than 100 students in U.S.A. in practice and as faculties in universities of U.S.A.
28 Years of Professional experience in Homoeopathy Medicine Ex-secretary, Govt. Homoeopathic Doctors Association.Examiner in Organon & Homoeopathic Philosophy for the last 20 years. She also co-ordinates the Ayurved Ratna Course & Immunization Programmes of Cholera. 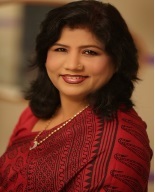 Beginning as a Medical Officer of Bombay Leprosy Project (BLP) and then rising on to become Director, Dr V.V Pai has been working in urban areas, urban slums, villages and tribal areas and rural areas of Maharashtra & other parts of our Country for leprosy relief work and for the State, National and Global Leprosy programmes. Several lectures and training programme on leprosy in English, Hindi,Marathi for the Benefit of medical, paramedical and social personnel. Provided guidance and technical assistance to various leprosy NGO’s in Maharashtra. Siemens India is a technology powerhouse that has stood for engineering & healthcare excellence, innovation, quality and reliability. Siemens is a pioneer in healthcare solutions. The company is also a leading supplier of medical imaging equipment – such as computed tomography and magnetic resonance imaging systems – and a leader in laboratory diagnostics as well as clinical IT. The history of Siemens in India dates back to 1867, when Werner von Siemens personally supervised the laying of the first telegraph line between London and Calcutta. The first company office was founded in 1922. In 1957, Siemens was incorporated as a company under the Indian Companies Act. It has been a reliable partner for customers across verticals particularly healthcare. The NMIMS University has been legendary in quality teaching and action oriented research in all disciplines. The University has been listed in the top ten medical universities in India a leading center of education in health sciences to human sciences, technical training to advanced engineering, and personnel management to corporate management, creative literature to innovative multimedia, art and architecture. Physical therapy (or physiotherapy), often abbreviated PT, is a health care profession primarily concerned with the remediation of impairments and disabilities and the promotion of mobility, functional ability, quality of life and movement potential through examination, evaluation, diagnosis and physical intervention carried out by Physical Therapists or Physiotherapists and Physical Therapist Assistants or Physical Rehabilitation Therapists. The Mission started its activities opening a free dispensary at Muttil in 1972 for serving tribal people. The hospital now caters to over 300 patients a day with free service for tribal patients. The helpers and volunteers are mainly from the vanavasi communities and have been trained by the Mission for the job. Medical Mission started mobile dispensary and medical camps were conducted going to the remote places of the district. AIIMS initiated their first pilot project of Sickle Cell Anemia Control Program in Wayanad with Vivekananda Medical Mission as NGO Partner and more than 70% tribal population was screened. There are many other projects they are working with and for tribal community. Gujarat Ayurved University is a pioneer statutory University national and international level, exclusively devoted to Ayurvedic studies & research in the field of Ayurveda established in 1967 Gujarat State Government which imparts teaching, training and research in various specialities of Ayurveda.World Health Organization recognized it as the Collaborating Centre for Traditional Medicines in the field of Ayurveda. The first Apollo Hospital opened in Chennai, in 1983. Apollo’s Founder Chairman, Dr. Prathap C Reddy was a force behind the inception. Apollo Hospitals is the pioneer of private healthcare in India, and was the country’s first corporate hospital has 64 hospital across the country. The Group has emerged as the foremost integrated healthcare provider in Asia, with mature group companies that specialize in insurance, pharmacy, consultancy, clinics and many such key touch points of the ecosystem. They have touched the lives of over 121 countries. The cost consciousness continues to be a key building block in our healthcare strategy. The Group is built on the bedrock of to drive unwavering focus on key touchstones like excellence, expertise, empathy and innovation. Sir Ganga Ram Hospital is committed to provide world class healthcare, teaching, training and research by a team of highly qualified doctors, dedicated nurses, para-medical and non-medical staff. Funds generated from the hospital services are partially utilized to provide free health care to poor patients. 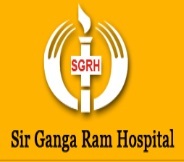 The Sir Ganga Ram Hospital is committed to make available 20% beds of total strength for admission of indigenous and financially weaker section of the society.